Stata gives you much more control over how your results are formatted in Excel than you had in previous releases. Before, you could insert string and numeric values into specific cells in worksheets. Now, you can format cells, format the contents of the cells, and even add graphs and formulas. Examples of cell formats you can change include changing the numeric format, adding borders, and choosing the cell color. You can control the font style used in the cell, such as whether you want bold or italics, or whether you want text in a different color. And, a wide range of graph file formats can be written, including PNG, JPEG, WMF, and TIFF. This is just a sampling of what you can do. 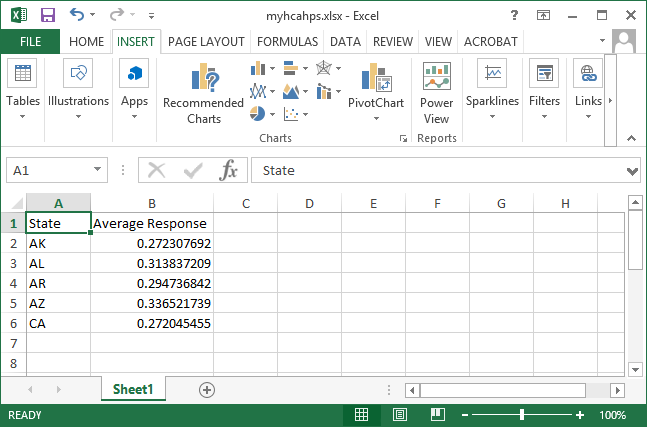 These features are useful for creating custom-formatted tables in Excel and automating the creation of graphs so that all of your work is fully reproducible. 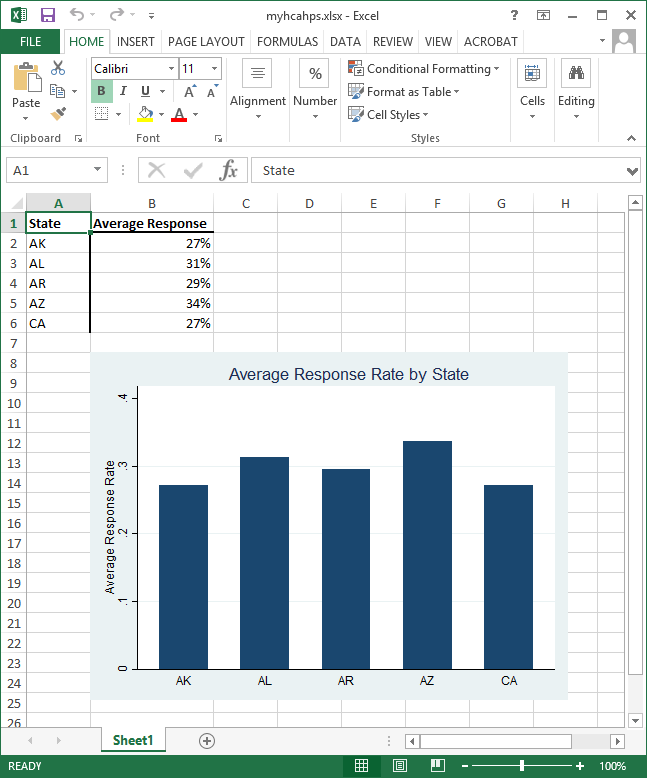 Suppose we have an Excel worksheet that contains a summary of response rates to a Medicare survey about satisfaction with hospital care for 5 states: AK, AL, AR, AZ, and CA. Now let's add a solid black border below the column titles and on the right side of the State column. 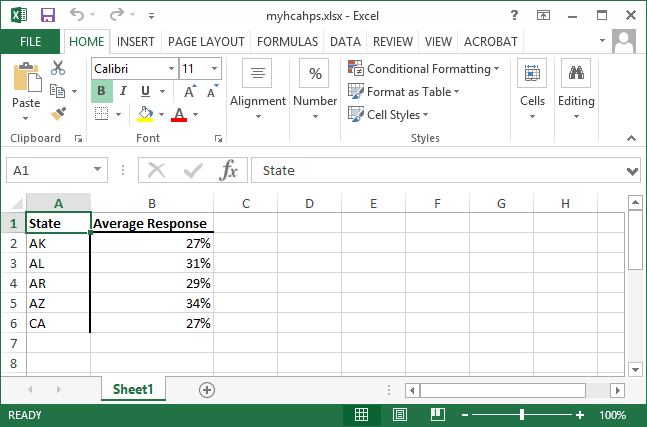 We can then format the Average Response column as a percent. If we want, we could add all of these commands to a do-file and save them for use with updated data or data from other states we may choose to sample. You can read more about putexcel's features and see several examples in [P] putexcel. For more cell-formatting settings and control of writing cell formats, programmers will want to use the xl() Mata class; see [M-5] xl().